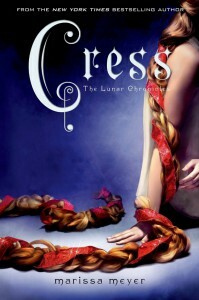 "Cress" was fast-paced and jam-packed with quirky, memorable characters. This third installment of the Lunar Chronicles continued the pattern of adding more characters to the cast, and new for this book is obviously Cress (aka Rapunzel), an alien hacker stranded in a satellite. 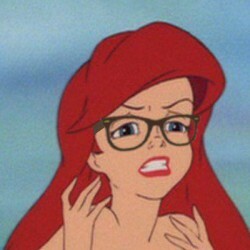 The best part of Cress's character throughout the entire book is her reactions to things. She's naive, childish, and sweet like a little kid would be, and her evaluations of common things once she is finally among civilization were realistic and cute. Speaking of the cast, I'd like to call out how all the characters in the Lunar Chronicles are clearly distinct and unique. Oftentimes books with very large casts suffer from what I like to think of as a doppelganger issue. The author only has so much creative material, so new characters start to become eerily similar to characters they have already introduced. Thankfully, not an issue for Meyer. Each time she introduces a new member of Cinder's posse we are given a well-developed and interesting new voice. The only thing that really bugged me about this book was the fact that not all the plot lines were given the same amount of face time. While everyone starts the story together, people are quickly split up into several groups. Cress's group is obviously given the majority of the attention since is a new character, but the member of Cinder's posse who ends up on Luna is given almost no part in the story at all. I feel like this was a real misstep for Meyer. This was an amazing opportunity to give readers further insight into Lunar society and customs, and really give the race/planet some depth. Instead, we are given a handful of chapters that tell us practically nothing we did not already know. In the end, "Cress" is a fine addition to the series, although it is definitely not my favorite. The pace is good, the plot is exciting, and it definitely did not feel like it was over 500 pages long. You can bet that I'll be picking up the fourth book in the series as soon as I can get my hands on it!